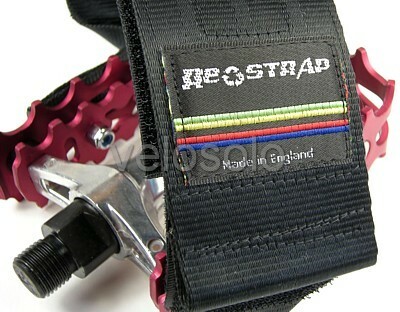 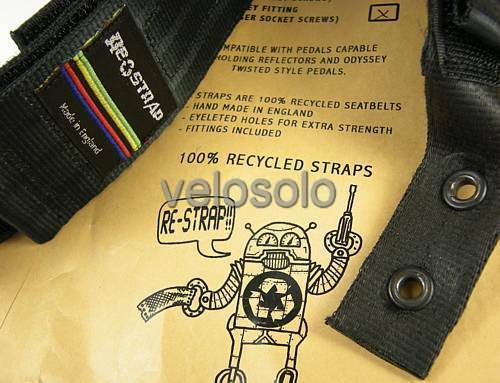 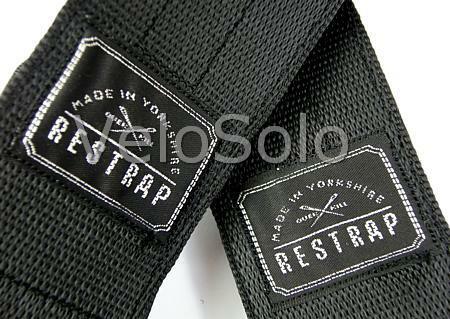 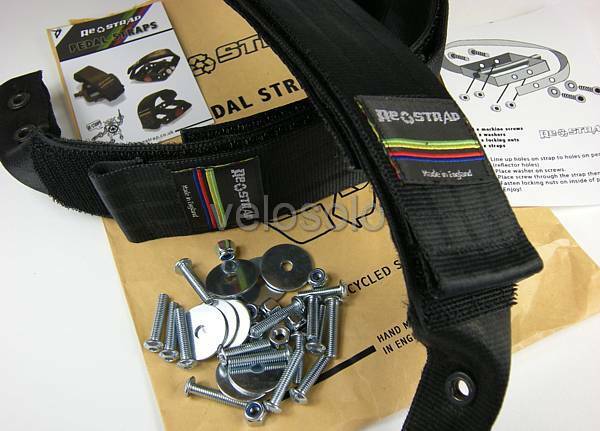 Note: all stock now has the latest black/silver label as per first pic, not multi-coloured as in lower photos. 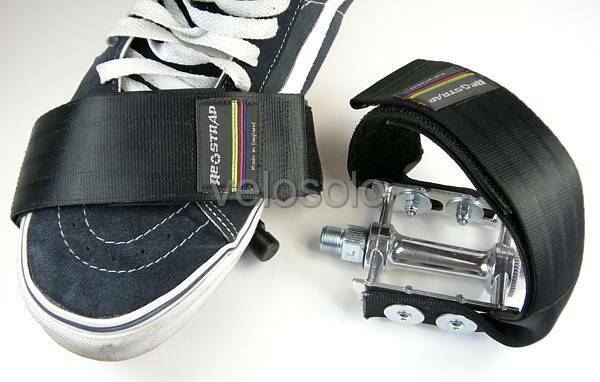 Important, some pics below show extra washers (not included) on the inside of the pedals. 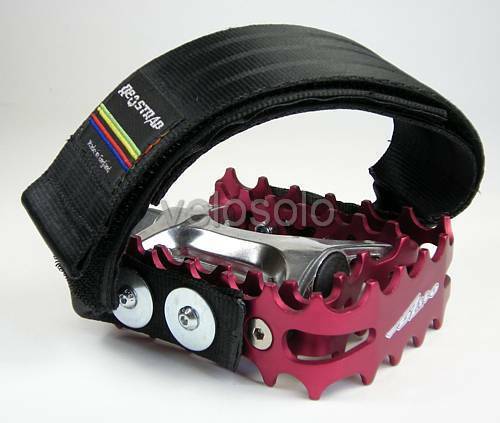 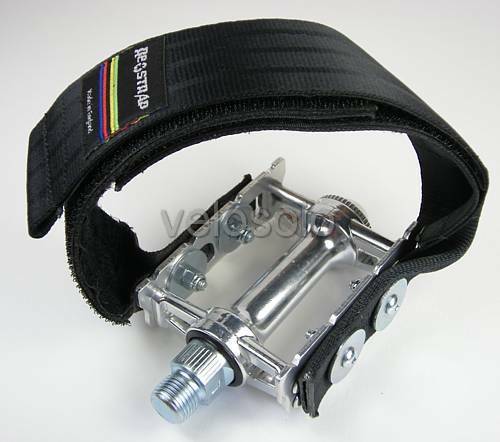 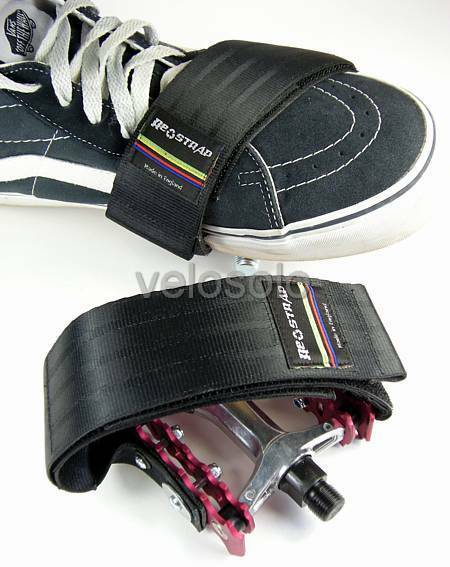 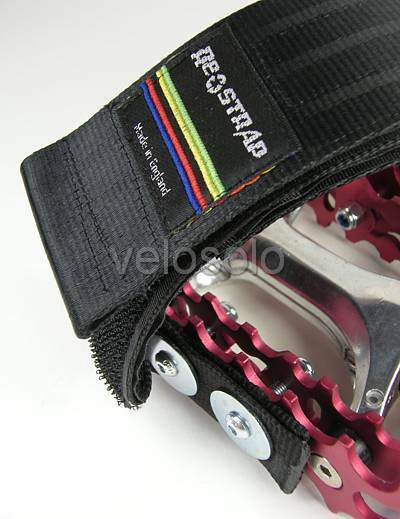 When fitting, the large washers must go over the webbing on the outside of the pedal to spread the load on the webbing as shown on the third photo.